Nick celebrated his bachelor party in the Outer Banks a few weeks ago and returned with over 20 lbs. of fresh fish! 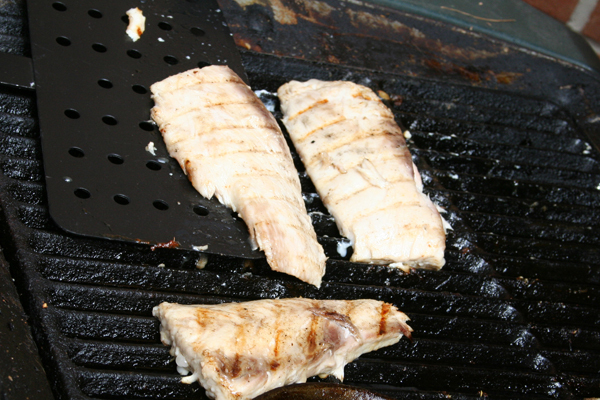 So for Father’s Day, we grilled mahi mahi — two ways. Both were tasty, but we all agreed we loved the heat of the blackened version. Nick still has about seven bags of fillets, so stay tuned for more seafood recipes! 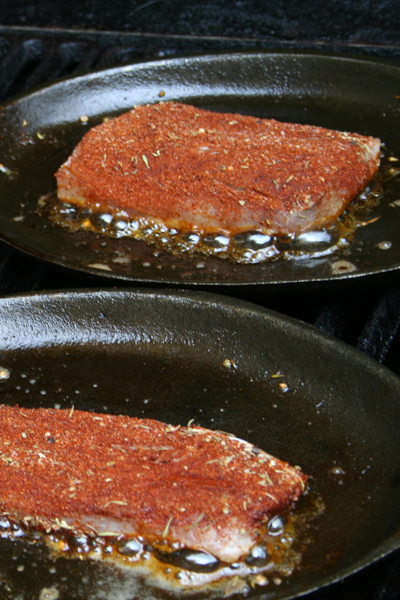 Blend spices and coat fillets. Let stand at room temperature for no more than 30 minutes. Heat cast iron skillet over high heat and add oil. Cook three minutes per side. Marinade fillets in papaya juice and apricot juice for at least two hours. Grill three minutes per side. Finish with salt and pepper and lemon juice.